Boxing expert Danny Armstrong offers his insight on Saturday night’s big British fight between David Haye and Tony Bellew and he’s not giving the Scouser much chance of toppling ‘The Hayemaker’. If we are to believe the many snippets of Sky Sports footage in the lead up to the bout, it is Liverpudlian Bomber Tony Bellew has made the more Herculean effort in the gym, working tirelessly away with the pleasant, shiny-domed South Yorkshireman Dave Coldwell – his trainer – at his gym in Rotherham. In contrast, David Haye has put his best efforts into filling his social media with images of his flash lifestyle training in Miami, smashing pads with equally pampered but talented trainer Shane McGuigan (son of former featherweight champ Barry) on a rented yacht. 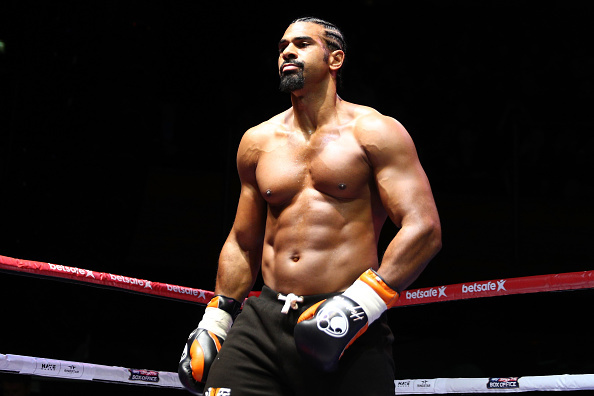 Despite his apparent lack of attention to detail, Haye still looks in fantastic shape and is eager to do damage. The smouldering intensity in Bellew’s beady eyes and Haye’s unconcealed contempt boiled over when Haye threw a punch at the Everton diehard during one of the many entertaining press conferences that have provided the backbone to the fights build up. The man they call ‘The Bomber’ made some home truths and some extremely effective needling. Any similar outbreak of frustration in the fight would lead to the referee penalising the two and any fighter to lose a point at some stage, is best priced at SkyBet at 3/1. Bellew was decked early by Ilunga Makabu when the red mist and the occasion of being at the home of his beloved blues conspired for Bellew to open himself up. Parallels can be drawn between Haye’s preparations now and those employed before his only knockout defeat when he was dragged into deep water and then drowned by Carl “The Cat” Thompson in 2006. Then, the cocksure, cornrowed Haye was entering the ring having won his first ten paid bouts by knockout and his tactics in camp were to train for as long as he reckoned the fight would continue. What has probably been overlooked by many is that Haye has been put down by lighter men and lighter punchers than Bellew, namely light heavyweight Lolenga Mock, who hurt him badly in his seventh professional fight before being controversially stopped, and by Frenchman Jean Marc Mormeck for the cruiserweight championship. If Bellew catches Haye correctly, he could no doubt do the same, the price for both men to be knocked down in the fight is 5.50 at SkyBet. The fight should be a good one while it lasts against two men with a genuine dislike for each other. The script has been entertaining thus far, with twists and turns right up until the threat of a pullout in the week leading up to the fight. However, there will be no Hollywood ending for film star Bellew this time. Haye to win inside six rounds and not to be dragged into the deep waters threatened by Bellew and be back on his beloved beaches of Miami is where the smart money is at and is valued at 1.57. For him to get off the canvas to win is a massive 10/1. Our tip is available at SkyBet – if you do not have an account please click this link and on sign up you will receive a free £10 Bet with no deposit required.